Miriam Braga, a 57-year-old mortgage underwriter in New Britain, CT, once believed that no one could understand how she felt. Braga has been the primary caregiver to her 87-year-old mother, who has Alzheimer's disease and type 2 diabetes, since 2012. "I'd get so frustrated," she says, "and I thought, nobody understands what I'm going through. Now I know that's not true." In the last 12 months, more than 34 million Americans provided unpaid care for an adult older than age 50. 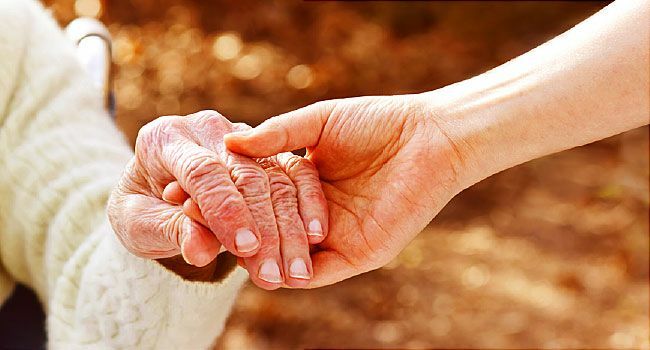 Though many Americans are caregivers, few are prepared for the job when it falls into their lap, says Jo McCord, a family consultant at Family Caregiver Alliance in San Francisco: "Sometimes they are just blindsided and are unaware of how much education they need." She offers new caregivers the following advice as they embark on their new role. Caregiving isn't about taking over. Your parent, spouse, or other close relation may be sick or living with disabilities, but they are still an adult with preferences, opinions, and rights. "Whoever you take care of has the right to live life on his or her own terms. Don't lose sight of that," McCord says. You may feel like you know best or that it's easier to do everything yourself. "But it's very important," she says, "even if the person has dementia, to involve him or her." You might want your relative to move out of their house and into assisted living, or you might simply want them to eat healthier. You won't agree on everything, McCord says, so pick your issues. Focus on those that will make the most impact on your relative's health and well-being. Does it matter, for example, if your 90-year-old mother insists on eating ice cream for dinner? "It's about quality of life," McCord says. "Maybe your mother's house isn't as clean as assisted living would be, but where will she be happiest?" When you take on this role, McCord says, "They will tell you, 'Everything's fine. I'm doing great.' But when you start to look into things, you realize, maybe they're not fine." If your relative doesn't live in your home, go to theirs to assess the situation. Look for fall hazards, such as loose rugs or a need for handrails in bathrooms. Make sure that food is in the refrigerator and that your family member hasn't lost weight. Check prescription bottles to ensure your relative is taking medications. Find out if your relative still drives and whether they should. Learn about your relative's condition and all that caregiving entails. "Many caregivers think they can do this alone, but that is faulty thinking," McCord says. Organizations including the National Alliance for Caregiving, Family Caregiver Alliance, AARP, and the National Institute on Aging offer online and real-life resources, support, and education for caregivers. For more information about a specific condition, start with organizations associated with the condition, such as the Alzheimer's Association, the American Diabetes Association, and the American Cancer Society. Ask your relative's doctor for trusted information sources, too. "It helps a lot to educate yourself," Braga says. "I had to learn the signs of low blood sugar." Before her mother got dementia, Braga didn't know that when her mother became confused and disoriented, it was a sign of low blood sugar. One day, you might have to act on your relative's behalf. You and your family member will need to draw up the documents needed to give you decision-making authority or for his wishes to be known if he can no longer speak for himself. Without documents naming you as the guardian, the court can appoint a guardian to make decisions. "Don't wait to address this," McCord says. "That's not a road you want to go down if you can avoid it." Maybe the most important advice for caregivers is to take care of yourself. Informal caregivers tend to be less likely to fill their own prescriptions or stay up to date on health screenings, such as mammograms, according to the National Institutes of Health. They also tend to have poorer diets and get less exercise and less sleep. "When all you do is take your husband to the doctor," McCord says, "the last thing you want to do is go for yourself." Taking care of yourself also means getting support. That could be through online or real-life support groups or your own friends and family. "Talking to other people about it helps because you realize you're not alone," says Braga, who has learned to ask for help when she needs it. "I ask, 'Do you think you can come sit with Mom for an hour or two while I go grocery shopping or take a walk?' " The Family Caregiver Alliance offers small respite grants to eligible caregivers to pay for home care while they get the rest they need. People can feel so overwhelmed by caregiving that they believe they need to quit their job. "Don't quit your job without a great deal of consideration," Braga says. "Caregiving can be very isolating." Caregivers also tend to feel guilty enjoying themselves when the relative in their care may not be able to enjoy the things they used to. "I used to think," Braga says, " 'What I am doing out walking around while Mom is sitting there by herself?' But if you burn out, you can't be there for them." McCord suggests asking these questions if you join a relative at a doctor's appointment. 1. Does my relative have an advanced health care directive (AHCD)? An AHCD names the person who will act on the care receiver's behalf if needed and outlines the care receiver's wishes for health care. Hospitals and doctor's offices have AHCD forms. 2. What exactly is my relative's diagnosis, and how will it affect them? Many caregivers don't know what to expect regarding their relative's condition and don't anticipate the ways it will affect the caregiver. 3. What medications does my relative take? Do they need all of them? What are the side effects and possible interactions with other drugs? Often, older adults who take many medications, have several prescribing doctors, or have been in the hospital take medications they don’t need. See if the doctor can streamline the list to lessen costs and side effects. Number of U.S. adults who care for someone who has Alzheimer's disease. Estimated economic value of unpaid care that informal caregivers provide. Percentage of caregivers who are female. Average age of a caregiver. Miriam Braga, New Britain, CT.
Jo McCord, family consultant, Family Caregiver Alliance San Francisco. Family Caregiver Alliance: "Caregiver Statistics: Demographics," "Making End-of-Life Decisions: What Are Your Important Papers?" "Advance Health Care Directives and POLST." UpToDate: "Drug Prescribing for Older Adults."